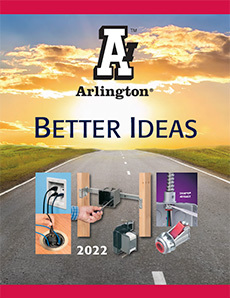 Arlington’s new fan/fixture Mounting Boxes are the quick, easy way to mount a fan or fixture on a cathedral or sloped ceiling. 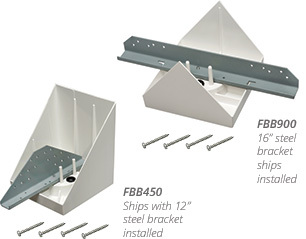 Both have installed steel mounting brackets that save time and money in new construction installations. For added convenience, the bracket is pre-drilled for screws and the ends are angled for easy fitting. • No loose parts. Captive fan/fixture bracket installation screws. Installed NM cable connector and steel mounting bracket. NO need for a 2x8 or extra trimming! Push cable through installed NM cable connector in box. Installed fan bracket on sloped ceiling. Save time! NO need for a 2x4! Mount steel bracket to angled rafters with short sides of box touching each rafter. Keep bottom of box level. 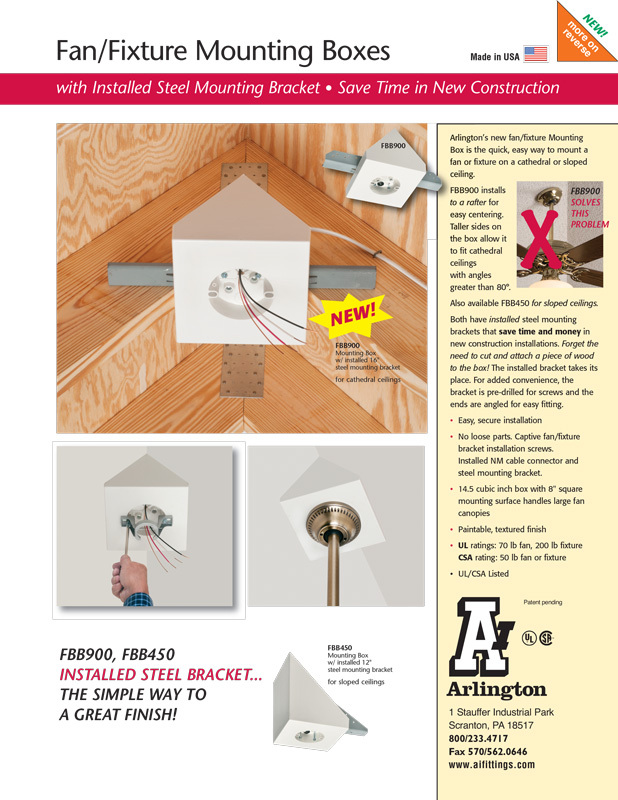 Screw the bracket to the rafter with (4) supplied #10, 1-1/2" wood scres through the pre-drilled screw holes in bracket. Done! Centered installation on cathedral ceiling.